Dr Jeff Jaffe, CEO of the World Wide Web Consortium (W3C), has called for tighter control over today's cloud computing standards to combat a variety of issues surrounding global regulations. Led by web inventor Tim Berners-Lee and Jaffe, international organisation W3C has been setting web standards since 1994. 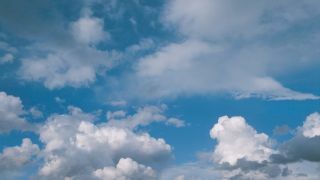 Speaking to organisers in advance of the fifth annual Cloud World Forum in June, Jaffe said the W3C's lack of participation in developing cloud standards has resulted in a "confused patchwork design". He said: "Identifying future trends and needs for standardisation is an important focus […] we now need a richer conversation between core web standards and the cloud." Jaffe said the cloud, which he sees as a "natural progression" of the web, will grow in importance as the number of internet-connected devices expands. Roy Illsley, Principal Analyst at Ovum, told TRPro that he does not believe a single cloud standard will surface. He said: "The best we can hope for is a standard on workload transport so that businesses can move cloud provider with minimal effort. "Businesses are not moving wholesale into the cloud because of a number of issues, and the lack of portability of workloads between different cloud standards is just one. It's an important issue, but it's still just one of many." Illsley added: "It's like the browser wars of the 1990s, when mass adoption by enterprises only happened when there was a single standard. "However, cloud is coalescing around a few main approaches and standards, for want of a better word, and the mess of supporting this is mainly felt by the service providers who have different solution stacks, such as OpenStack or VMware, to support different customers." The cloud opens up a range of benefits for small businesses, but could on-site servers provide a better solution for some applications?